Founded in 2013, Kespry delivers a fully automated drone system that takes off, flies a designated flight path and lands – all without operator intervention. With the Kespry Drone 2s now available across the John Deere network, customers can easily create a mission with the touch of a finger, then capture, analyze and share survey-grade data and insights. John Deere chose Kespry based on its interoperability with John Deere WorkSight technologies and ease of use for customers. 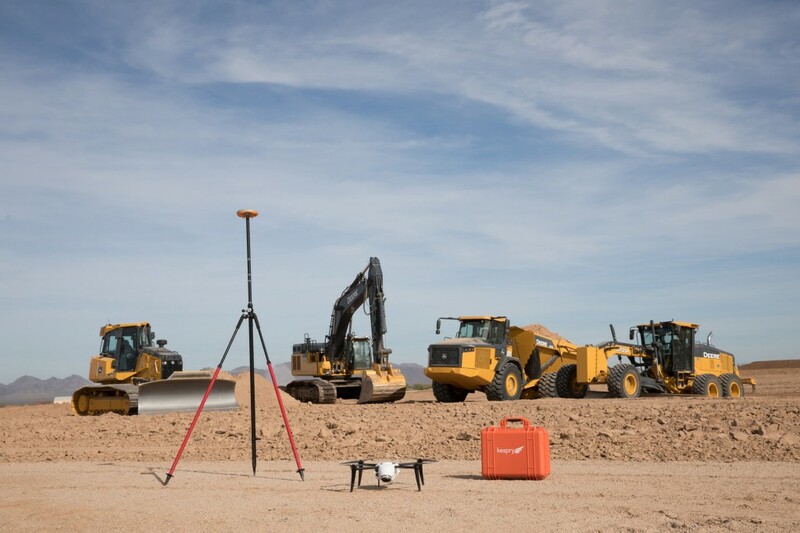 The agreement between the two companies includes Kespry working with John Deere dealers to train and certify them in the use of the Kespry 2s platform. Kespry develops all the hardware, software and cloud services that deliver a seamless, accurate and highly efficient solution from field to finish. The Kespry Drone 2s flies autonomously, without manual piloting, and uses sensors to avoid obstacles. To help customers operating in congested areas, the new Kespry Drone 2s is the first automated drone system that includes an on-board LiDAR sensor that automatically detects and avoids obstacles such as trees, cranes and buildings. The post-processed data are accessible from anywhere in the world via an easy-to-use web interface, allowing customers to access real-time 3D renderings, volumetric analysis and data export features with the click of a button. The drone-collected data can then be exported from the Kespry cloud to a number of common modelling packages including AGTEK Earthwork 4D, another endorsed John Deere solution to perform 3D model overlays, cut/fill maps, bidding and takeoff procedures. Recently at Bauma, the world's leading construction machinery trade fair, Advanced Construction Robots (ACR) announced to an international audience their next robotic construction solution, IronBot.